Caroline McNeill BSc (hons) Physiotherapy PG dip MMACP MCSP HCPC reg. Caroline graduated from the University Hospital of Wales, Cardiff in 1997 with BSc Hons in Physiotherapy. Subsequently she achieved a Post Graduate Diploma in Neuromusculoskeletal Physiotherapy. She was recently awarded membership of the MACP, a clinical interest group, whose members have all undertaken extensive post graduate study and reached a recognized standard of excellence in musculoskeletal health. Caroline has 12 years experience working within the NHS in Wales, progressing clinically and developing an interest in the rehabilitation of lower limb dysfunction involving pelvic, hip, knee and ankle injuries. Additionally she has expertise and interest in the treatment of complex spinal pain and the associated management of chronic pain. 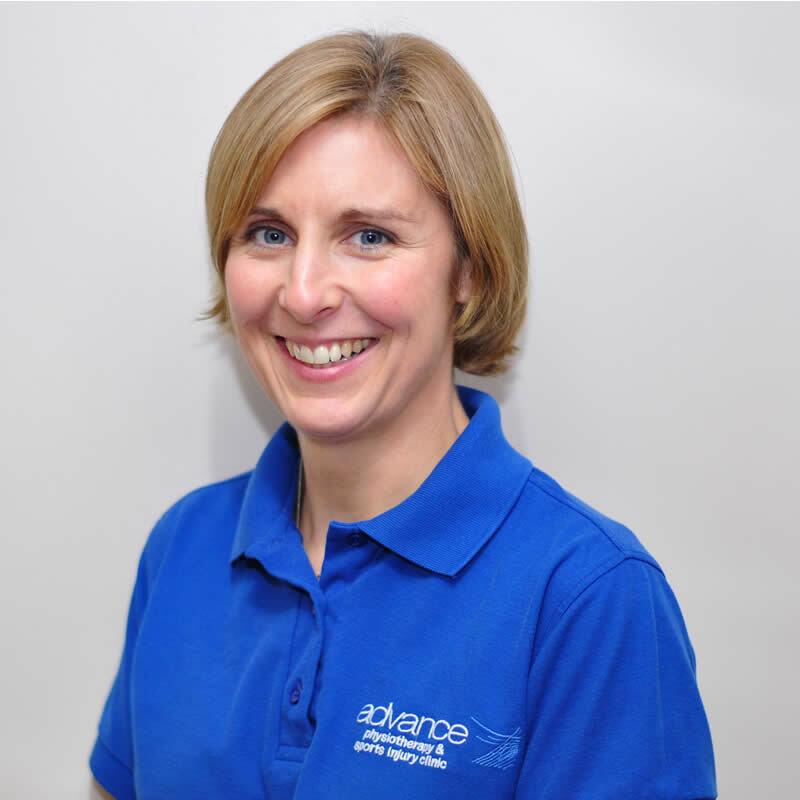 Since joining advance Physiotherapy in January 2010 she has continued to enthusiastically apply her expertise assessing and treating all aspects of musculoskeletal conditions. Caroline has worked extensively in the sporting arena as a physio with a Welsh RFC and was also involved with the Senior and Junior national GB Judo squads, accompanying them to national and international training camps and competitions. During her time in Wales she developed, participated in and instructed a conditioning circuit class for hospital employees. She has completed Pilates training with the APPI and joined the team which currently provides Pilates classes here at advance physiotherapy & Sports Injury Clinic.